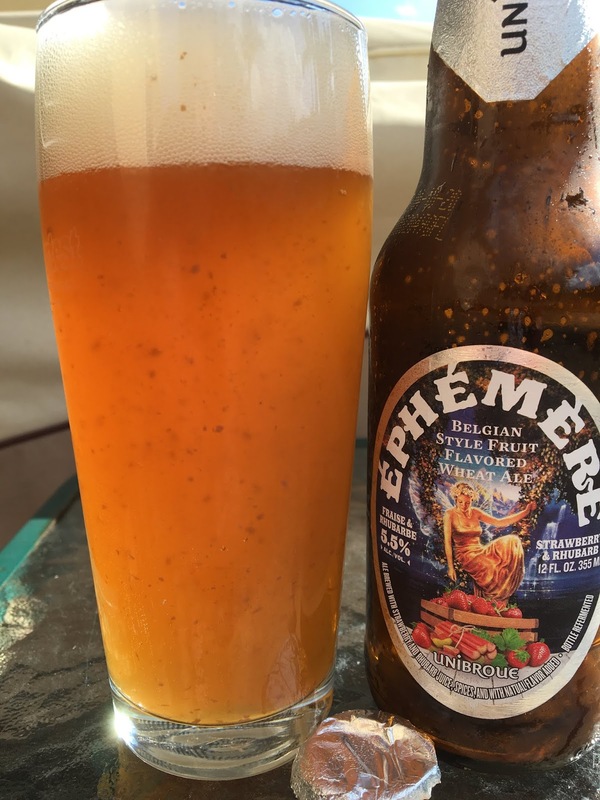 Today I'm checking out Unibroue's Ephemere Strawberry & Rhubarb, the brewery's newest fruit version to this terrific Belgian-style wheat ale. Also known as Fraise & Rhubarbe for you Frenchies. 5.5% alcohol. Lots of floaties, yummy yeasty goodness. Strawberry and yeasty aroma. More tart than expected and full of both strawberry and rhubarb flavors. Rhubarb has a unique flavor, works nicely with strawberry and with this beer. A little spicy, nice little nips at the palate. Nice flavors, soft yet flavorful and very refreshing!